Indulge yourself in our Spa, new features include a Steam Shower and Relaxation Lounge Area. 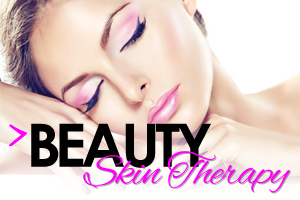 Why not book a Glamorise treatment package and make the best of our services and your money. We can offer tailor made packages to suit your needs. Let us bring the richness out of you, restore your natural balance by detoxifying your body, hydrating your skin, relaxing tired muscles and beautifying your whole self inside and out. Unwind and leave the rest to us. Elemis Exotic Lime & Ginger Salt Glow Scrub, Deep Tissue Muscle Massage & Elemis Skin Specifics Facial. Aromatherapy Hot Lava Shell Body massage, spa duluxe pedicure, gel manicure, cut and blowdry. Aroma Hot Stone Therapy, Elemis S.O.S Purifying Facial, Indulgence Manicure & Intensive Conditioning Treatment Blowdry. (Light lunch snack will be provided). Cellutox Aroma Spa Ocean Wrap, Elemis Pro-Collagen Quartz Lift, Indulgence Pedicure, Cut & Blowdry Includes Intensive Conditioning Treatment. (Light lunch snack will be provided). Elemis Oxygen SkinCalm Facial, Nurturing Massage For Mother-To-Be & Indulgence Pedicure, and conditioning treatment blowdry. Bikini wax, HD Brows, eyelash extension, gel manicure, mini pedicure and gels on feet, cut and blowdry. Exotic Coconut Rub & Milk Ritual Wrap, Biotic radiance renew facial, gel manicure, mini pedicure and gels on feet. Helps relieve tension and breakdown of lactic acid within the muscle fibres and relaxes those stressed achy muscles. After exfoliating with a Dead Sea salt scrub an application of warm nourished oil dispensed from a massage candle is applied and your tired muscles massaged as you relax and unwind. A heated mineral algae mask is then applied to eliminate muscle toxins and purifies the skin. A powerful surge to invigorate and recharge. Wind down and release the tension of the day. Relax and re-energise a tired and aching body. Reconnect your mind, body and soul. Ultimate de-stress. Warm Lava Shells work all over the feet, palms, arms, neck, back and shoulders focusing on pressure points, knots and stress points. Deep tissue work eases muscle tension, releasing energy to body and mind. Warm Basalt Hot stones to melt away tension - Therapeutic heat is slowly released into the belly of the muscle for a completely new body experience. Small stones are placed on key energy points, whilst luxuriously warmed oils are massaged deeply into the body for maximum relaxation. Massage adapted to each stage of pregnancy - This inspirational therapy connects mother and baby through the power of touch, working with two heartbeats as one. Specialised positioning on the unique Elemis beanbag is used to ensure the ultimate in safety, comfort and relaxation. Helping to relieve tension in the back and alleviating swelling in the hands and feet, while easing the mind and uplifing the spirit.